1. 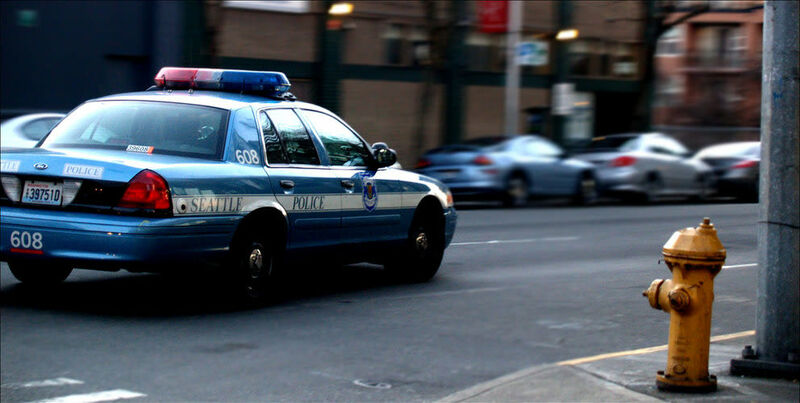 Governor Jay Inslee signed off on revisions to the police use of deadly force law. Voters passed Initiative 940 in the November general election, amending state law by removing the need to prove the presence of "malice" in order to prosecute cops for the misuse of deadly force. The revisions, which passed in both the House and Senate, included making the "good faith" standard objective rather than subjective and refining the requirement for police to perform first aid at the earliest safe opportunity. 2. University of Washington researchers released a study showing the state's eviction issue amounts to a civil rights issue. Eviction, which has gone largely unstudied according to the researchers, is legally underrepresented and disproportionately affects black Washingtonians. Black adults are evicted 5.5 times more often than white adults in King County. 3. Yakima County Jail will no longer hold inmates for ICE after they're eligible to be released from jail, the Yakima Herald reported. The policy change is the result of a year-long lawsuit charging that local police enforcement is not authorized to enforce immigration law. Until now, the jail would hold inmates for ICE based on informal requests, like a phone call. 4. A bill to repay low- to middle-income households for some or all of their sales tax costs had a public hearing. Supporters of the bill say that lessening the sales tax burden on the state's working class is a major step toward correcting the regressive nature of Washington's tax system. The legislation builds off a 2008 benefit program that went unfunded when the recession hit. 5. The city is considering whether or not to hand community centers on valuable city-owned land over to their nonprofits, The Seattle Times reported. Mayor Jenny Durkan's administration is the third to weigh the merits of releasing centers such as The Central Area Senior Center to their administrators. While the city scrambles to provide more housing, city property is difficult to give away even as the resources on it anchor communities jostled by gentrification. 6. Washington's state school superintendent advocated including a measure on the November ballot to lower the passing threshold for school bonds, The News Tribune reported. Currently, a school bond needs to garner supermajority (60 percent) support from voters. Legislators have discussed changing this majority criterion to 50 percent plus one vote or 55 percent. 7. Seattle City Council member Rob Johnson thinks Seattle should move forward with safe injection sites in the face of a federal lawsuit, Crosscut reported. The "crack house" statute of the Controlled Substances Act makes it illegal to run a location for the consumption of controlled substances, regardless of intent. The country's first safe drug consumption site is slated to open soon in Pennsylvania and is the object of the current lawsuit—the first direct action taken by the present administration to uphold the act. 8. Seattle City Council considered amendments to reduce proposed upzoning in some neighborhoods, The Seattle Times reported. To be discussed in committee today, the amendments would designate central portions of West Seattle Junction, Mount Baker, Ravenna, Wallingford, and Crown Hill as small-lot or single-family zones, rather than low-rise zones, reducing possible units from nine to one, two, or three. The changes seek to address livability concerns. 9. A new bill could make it mandatory for parents to vaccinate their children, Seattle Weekly reported. While similar bills have been introduced in years past, the recent measles outbreak—and Governor Inslee's declaration of a state of emergency—could push this one through. The present bill includes language that disallows philosophical or personal objections to the measles, mumps, and rubella vaccine. The bill's public hearing is scheduled for today with the Committee on Health Care and Wellness. 10. The Seattle Police Officers Guild backed officers' fatal shooting of an armed man, The Seattle Times reported. The man had stabbed a woman to death and was advancing on the police officers with the knife when two officers shot him Thursday morning. The officers' actions appear to be within department guidelines, but the matter is under investigation.